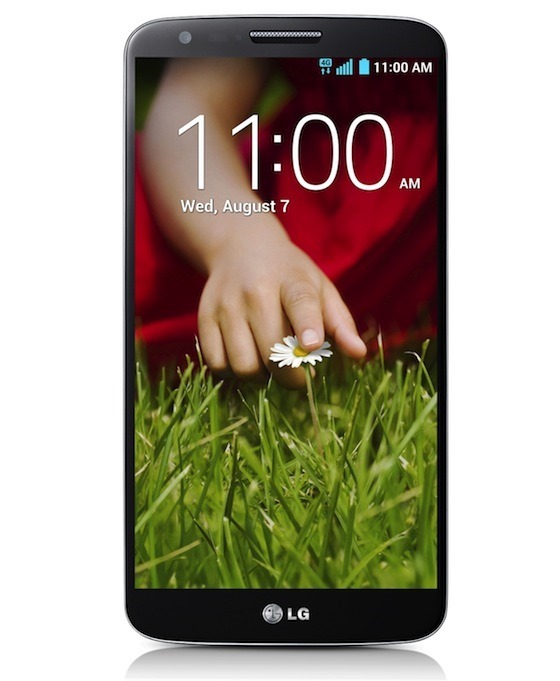 As the market continues to be pummeled with powerful, large displaying, top-end handsets LG has just added another to the fray with its G2 – a follow-up to last year’s release of the Optimus G. With a weighty 2.26GHz Qualcomm Snapdragon 800 processor and 2GB of RAM bundled in, it’s not exactly a smartphone for the general user, and with a 5.2-inch 1080p display, should have no problems with clarity, intensive gaming or movie-watching. All that power needs a decent amount of juice to keep it ticking over for the duration, and as such, LG has placed a mammoth 3,000mAh battery in the G2. It’s one of the biggest batteries we’ve ever seen in a smartphone, and although it does make the handset quite beefy – it is, after all, nearly 9mm thick – it should have no trouble lasting a full day. Unfortunately, despite Google having just released Android 4.3 to a select bunch of smartphones and tablets, the G2 misses the boat, and instead offers Android 4.2.2 out of the box. Although this isn’t going to be a deal breaker for most who’ve set their heart on the G2, it is a bit of a let-down, and with Google versions of the Samsung Galaxy S4 and HTC One lurking, the Android purists laying it wait to see if the G2 would deliver on the latest and greatest version will probably have some thinking to do. As well as being a stand-out for its strong processor and ridiculous battery power, the G2 also has a few rather unique design quirks. Both the volume rocker and power buttons now sit at the back of the device, which is a major switch from market norms. The rationale behind the decision is to enable a user to operate the device with only one hand, and with vendors continuing to make smartphones bigger while the average human hand remains the same, it’s nice to see LG making these kinds of provisions. 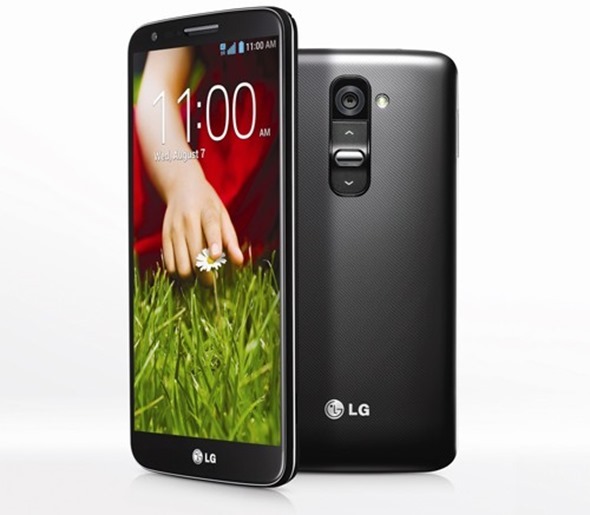 The G2 comes packed with a 13MP rear facing camera, and comes equipped with optical image stabilization. So yes, those with shaky hands can now take beautiful shots with utmost ease. The front facing camera is of the 2.1MP variety, which is perfect for video chats and taking quick self-shots. Whether this will, indeed, make the G2 easier to operate single-handedly remains to be seen, and we’ll be preserving judgment on whether the design alterations make any reasonable difference until we’ve tried the handset out for ourselves. Although specifics such as release areas and pricing have yet to be revealed, over 130 carriers worldwide will see the G2 at one point or another and all the major carrier in the US as well. We’ll be keeping an eye out for those key details, so stay tuned!